1. Stalls, storefronts, and factories are all suitable. 2. Limited space creates unlimited benefits. 3. 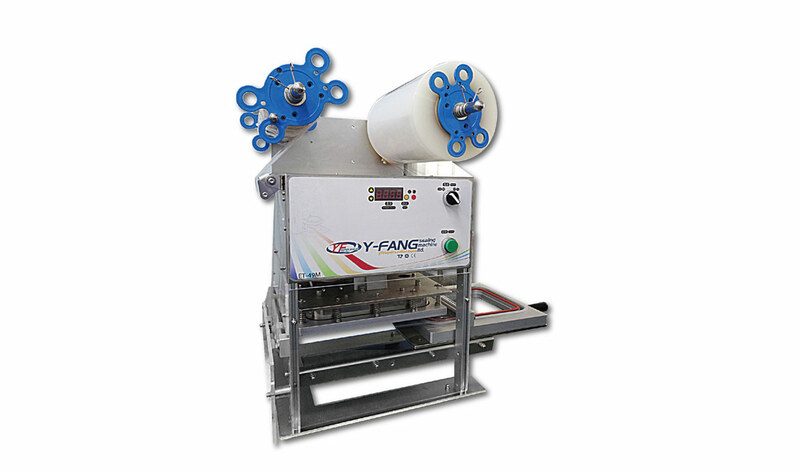 Suitable for all kinds of material sealing (PP, PE, paper and tearable film). 4. Sealing without leakage, safety and health shape the best product image. 5. Small-scale production, product testing best helper. 6. Automatic cupping design fits with the adjustment of various container heights. 7. Intelligent automatic detection fault codes. 8. Semiconductor microcomputer control is easy to operate; settings can be changed freely, which is closer to the needs of users. 9. 49M: Push the film into the seal by hand and use it with an anti-fog film.